Welcome to our recipe page. All recipes are sorted alphabetically. If you have a recipe that you would like to submit, please do so through our contact form on our Contact Us page. Thanks! Mix red current jam with brandy and spread over first two layers of biscuit cake. Stack all three layers on top of each other. Make whipping cream according to package and mix with ground almonds. Coat cake with prepared cream and make large spots around the top edge of the cake. Use sliced almonds and currents to make an Easter bunny face out of the spots. Place candied Easter eggs in center. Mix butter with mixer until smooth. Mix sugar, vanilla sugar, salt and lemon zest together. Then add little by little to butter mixture. One by one add eggs and mix for about 30 seconds until a thick and yellow-coloured dough is formed. Mix flour with corn starch and baking powder, sieve and add alternately with the buttermilk to the yellow-coloured mixture. Preheat oven to 400°F. Place parchment paper on two cookies sheets. Use 2 teaspoons to drop a total of 6 heaps of dough on each cookie sheet. Bake one at a time for 20-25 minutes. Once done, take out from oven and let cool down. Mix powdered sugar and lemon juice. Mix cocoa powder with half of the lemon mixture. Use a brush and paint half of the flat side with a sugar/lemon mixture and the other half with the cocoa mixture. Mix soft butter with icing sugar and add egg. Sift flour on top and knead well. Form into a ball and wrap in plastic wrap. Refrigerate for 30 min. Peel apples, quarter them and remove core. Cut quarters into thin slices into a bowl. Wash sultana in warm water and dry with paper towel. Mix apples, sultana, lemon zest and juice, ginger, minced hazelnut and cinnamon. Take the dough out of the fridge and roll into a circle. Place spring form on top and cut out 4 cm away from edge. Grease your spring form (or use baking paper), fold dough carefully into a quarter circle. This makes it easier to place the rolled out dough into the spring form. Press the edges and poke the bottom with a fork. Fill with filling. Bake at 180°C in pre-heated oven for 25 min. Separate eggs and mix whites with 2 tbsp. cold water until stiff. Add sugar and mix well. Carefully fold in sifted flour and baking powder as well as yolk. Spread biscuit dough on baked cake. Bake again for 20 min. Sift flour and baking powder unto surface. Make well in center, add sugar, lemon peel, egg and egg white. Cut butter in small pieces, then work all ingredients together using scraper into smooth ball. Let dough rest wrapped in plastic wrap in refrigerator for 2 hrs. For filling wash, peel, de-core apples and slice up. In a large bowl, pour lemon juice over sliced apples and toss to coat them. Add raisins, sugar and cinnamon, toss again. Roll out dough, enough to cover the bottom and sides of spring form (about 2/3 of dough). Pierce bottom several times with a fork. Fill with apple filling. Blend eggs, milk, sugar and vanilla pudding powder and pour over filling to form. Roll out the remaining dough and create lattice top, complete with a strip around the outer edge. Brush lattice with egg wash. If the top has reached desired brown colour (and baking time is left), cover with tin foil to avoid burning. Bake at 180°C (pre-heated) for 60 min. Combine all ingredients and knead with machine into a silky smooth elastic dough. Shape into ball, place under warm bowl and let rest for 20 min. Roll out on floured surface into rectangular shape. Transfer onto floured cloth and pull dough with back of your hands until dough is paper thin. Peel, core and slice apples. Combine with sugar, cinnamon, raisins, lemon zest and rum (optional). Brush dough with melted butter and sprinkle with bread crumbs and almonds. Spread apple filling along long side of dough. Lift up cloth on long side and roll up. Transfer to greased baking sheet, tuck ends under to prevent juice from running out. Brush with remaining melted butter and sprinkle with bread crumbs. Bake at 200°C for 45-50 min. All meat must be well cooled before preparation begins. Cut meat into chunks and mince on a fine setting. Mix together both meats and add salt, pepper and the iced water until smooth. Mince the bacon on a medium setting and mix with the meat. Peel and grate the onion and add to the mixture together with the marjoram. Place in the fridge to cool. Put the mixture into a greased loaf tin. Smooth the surface and, using the blade of a knife, make a diamond-shaped pattern across the top (about 5 mm deep). Bake in the centre of a preheated oven (180°C) for about an hour (fan oven: approx. 160°C, gas mark 2 – 2.5). 1. In a large bowl, stir together 1 cup of flour, yeast, sugar, 2 tablespoons of butter, and 1 1/3 cup water. Let this mixture stand until bubbles begin to form, about 15 minutes. Stir in the salt and gradually stir in the remaining flour until dough can be picked up and kneaded on the counter. Knead until smooth and elastic, about 8 minutes, adding more flour if needed. 2. Divide the dough into 6 pieces and let them rest for a few minutes. Roll out one piece at a time into a rope about 15 inches long. Loop and twist into that cool pretzel shape. Set on a baking sheet while you roll out the remaining portions. 3. Preheat the oven to 450 degrees F (220 degrees C). Bring the remaining 3 cups of water to a boil and add the baking soda. Remove from the heat. Dip pretzels into the water bath for about 45 seconds, flipping over about halfway through. Place the soaked pretzels on a greased baking sheet. Brush them with melted butter and sprinkle with coarse salt. 4. Bake in the preheated oven until golden brown, 8 to 10 minutes. Manual/Mixer Method: Combine all of the dough ingredients in a medium-sized mixing bowl, stirring till the mixture becomes cohesive. Transfer the dough to a lightly oiled or lightly floured work surface, and knead it for 5 to 8 minutes, till it’s smooth. Or knead it in an electric mixer, using the dough hook, for 4 to 7 minutes at medium speed. Place the dough in a lightly oiled bowl, turn to grease all sides, cover the bowl with a proof cover or plastic wrap, and let it rise for 60 minutes, till it’s puffy. Shaping: Transfer the dough to a lightly oiled work surface, fold it over to expel any excess gas, then divide it in half. Roll each piece into a ball, then pat and stretch each ball into an 8-inch circle. Place the circles into two lightly greased 8-inch cake pans; don’t worry if the dough shrinks away from the edges of the pans. Allow it to rise/rest for 30 minutes-the gluten will relax, making the dough easier to work with-then gently stretch and pat it to reach the edge. Make the topping while the dough is rising. Topping: Melt the butter in a small saucepan set over medium heat. Add the sugar, honey and cream. Bring the mixture to a boil, and boil it for 3 to 5 minutes, until it’s taken on a very light gold color. Stir in the almonds, let cool slightly, then spread over the dough in the pans. Baking: Bake the Bienenstich in a preheated 350°F oven for 25 to 28 minutes, until the edges are golden brown and the topping is bubbling. Remove it from the oven, and cool in the pan for 30 minutes, to allow the topping to firm up. Run a knife around the edges of the pans to loosen any stuck-on dough, and flip each cake over onto a plate, then flip back onto a rack so the almond topping is up. Cool completely before filling. Assembly: Carefully split each of the cakes in half horizontally, so that you have four thin, round cakes. This is best done using a serrated knife; cut slowly and check as you go to make sure you’re staying on a straight line. Set the cakes aside. Soften the gelatin in the 2 tablespoons water, then heat the mixture (in a microwave set on low, or over low heat in a saucepan) until the gelatin has melted and the mixture is clear. Let it cool slightly. Fold a bit of the whipped cream into the gelatin, then fold that back into the remaining whipped cream. Mix the instant pudding with the milk and vanilla, stirring for 2 minutes as the box directs. Immediately fold the whipped cream/gelatin mixture into the pudding (the pudding will begin to set up, so work quickly). Use this faux pastry cream to fill the cakes. Serve immediately, or refrigerate till you’re ready to serve. In Germany there is a specific bunny form for this recipe, which is rather small. If you have another bunny form or you buy one, it is likely you will need a double batch, depending on size. Experimenting with the amount of dough you will need is advisable. Mix egg, yolk, water, zest, vanilla until creamy. Add sugar and mix till white foamy consistence is reached. Sift baking powder with flour and sift on mix. Mix lightly together. Grease your form and sprinkle on flour, tap off any excess flour. Fill with batter. Bake at 180°C for 35min (depending on size of the form it might take longer). Take the eggs and separate them. Mix yolk with half the sugar, vanilla extract and water in a bowl, then put it aside. Take the egg white and mix it with the rest of the sugar until foamy and stiff. Take the egg white mix and carefully mix 1/3 into the egg yolk mixtures. Place the rest of the egg white mix on top. Sift flour with corn starch and baking powder and mix with the egg mixture until well combined. Once the cake is done, place it on a tea towel which is sprinkled with sugar. (The sugar will make sure that the cake will not stick to the towel, so use a bit more.) Roll the cake into a roll and let sit to cool. While your cake cools prepare the filling. Heat the milk and mix in the pudding powder and sugar. Stir until it is a firm texture. Set aside and beat the butter until foamy. Melt the nougat and mix it, spoon by spoon, into the butter. Add the puddig, spoon by spoon, until the mix is nice and soft. Make sure that the nougat and pudding have about the same temperature. You can use a chocolate thermometer, if you have. You can use other fillings as you like. Just make sure that the fillings consistency is thick enough so that it does not leak. Bake the chocolate cake one day before you need the cake. Melt the chocolate in a water bath. Beat butter and chocolate until it is foamy. Add egg yolk and sugar slowly and beat it some time. Stir salt, Vanilla, nuts and milk in. In a separate bowl beat the egg whites and the sugar till it is very firm, you should be able to cut it. Mix flour and baking powder. Mix all three components very gently, best with a large spoon. Bake 45 to 60 min at 175°C pre-heated. The next day, cut the chocolate cake in two layers. Mix 1 tsp. Kirschwasser with 50ml cherry juice and moist both half’s of the cake. Thicken 250ml cherry juice with starch, or glaze. Spread it over the bottom layer of the cake and add the cherries on top of the glaze. Beat the whipping cream with some Kirschwasser and vanilla until it is very firm. You can use “Whip it” to make it last longer. Spread about half of the cream over the cherries and put the second layer on top. Spread the rest of the cream over all of the cake. Decorate with the rest of the cherries and the grated chocolate. Dissolve sugar in warm water, sprinkle yeast over it and let stand for 10 min. until bubbly. Add yeast mixture to liquid ingredients. Blend flours and salt and work together to a smooth dough. Knead on lightly floured surface for 3-4 min. Shape into a smooth ball, place into greased bowl turning to grease all over. Cover with greased wax paper and clean tea towel. Let rise in a warm place until double. Punch down, roll dough on lightly floured surface about 1 cm thick. Reserve some dough for decoration. Cover ham entirely with dough tucking ends in under. Place on parchment paper covered cookie sheet. Cut small hole in center on top of ham for steam to vent. Decorate by making braids of reserved dough. Brush with egg wash and bake at 200°C for 50 min. to 1 hour. Bread crust should be golden brown. Schwarzwälder Schinkenbrot is a very attractive main dish, served hot or cold by itself with wine or beer and some mustard or with a variety of salads. Combine flour, butter, icing sugar, salt and two eggs in a bowl until you have a smooth dough. Take half of the dough and roll it out into a big square. Separate the rest of the dough into two halves. Combine the cocoa and grated chocolate with one half of the dough. Chill both dough balls well before use. Roll out both doughs, about 1 cm thick. Then brush it with the beaten egg white and place on top of each other. Cut into 1 cm wide strips and place alternating on top of each other to form a chess board pattern. Brush the square of dough with egg white as well and place the chess pattern on top, wrapping it. Then chill it again before cutting into cookies. Bake ate 200°C for 12 to 15 min. Cut the vegetables into thin strips, or if you prefer into small cubes. Cook them in the broth for about 20 min. Whisk the eggs together with the milk and add spices to liking. Fill into a zip lock bag and place in simmering water. Cook for 25-30 min. Once the egg is cooked, remove from water and let it cool a bit. Depending on the thickness you might want to cut the royale in half. Use a cookie cutter to cut out shapes: bunnies, flours, chicken. Cut up the left overs to have on the side. To serve: Fill a bowl with vegetable soup, add royale and sprinkle with parsley. You will need a classic Bundt cake form with 22cm diameter. Grease with butter, dust with flour, tap off excess. Dissolve 1 tsp. sugar in 6 tbsp. lukewarm milk. Sprinkle yeast on top and let stand until bubbly. Take 200 ml milk and heat slightly, dissolve 100g sugar in milk. Sift flour into mixing bowl and add yeast mixture, butter, salt and egg, then warm milk with sugar. With beaters or whisk, whip into a soft smooth batter till bubbles are visible. Add raisins and Kirschwasser, stir again. Fill dough into Bundt cake form and let rise in warm place. Yeast dough should not rise higher than 2 cm below rim of form. Let cool for several min before invert onto a wire rack and dust with icing sugar. Bake at 175°C for 45-50 min. Remove outer leaves of cabbage and cut out stalk. Place cabbage in salted boiling water and let cook for 5 minutes. Take out and place in ice water bath to stop the cooking process. For 8 cabbage rolls, remove 16-24 leaves, cut coarse veins so the leaf is flat. Soak the bun in cold water and finely dice an onion. Chop up parsley put aside. Wring out the bun, place in bowl and add onion, parsley, egg, ground beef, salt and pepper. Mix. Dry cabbage leaves with paper towel. Depending on the size of leaves, use 2 to 3 leaves and spoon ground beef mixture into the centre, fold 1 end and sides over mixture and roll up. Use kitchen yarn to tie up. Portion wise fry in a hot pan with oil. Use half of the broth to quench and add caraway. At low heat, let cook for 30 minutes and add the rest of the broth. Take out cabbage rolls and keep warm, meanwhile add corn starch to broth to make a sauce. Add salt and pepper to taste. Serve. Mix egg, flour and salt, add warm water until the dough is smooth and soft. Let it rest for 20 Min. Bring 2 l water to a good boil. Press the dough into the water in small portions using a noddle press, let it come to a boil again and take the noodles out with a skimmer. If you do not have a noodle press you can use a strainer to press the dough into the hot water. Layer the hot Spätzle with cheese. If you like you can fry onion rings golden brown and put it on top. Combine all ingredients into a smooth dough. Wrap in plastic wrap and place it in the fridge for about an hour. Roll the dough out but make sure it is not too thin, otherwise your cookies will burn. Using different cookie cutters, cut out cookies, place on a cookie sheet lined with baking paper and bake at 180°C for about 8 to 10 min. Remove from the oven, let them cool before decorating the cookies with a mix of icing sugar and water, tinted with food colouring. You may substitute the water with lemon juice. Use sprinkles for more colour. 1. Preheat oven to 325 degrees F (170 degrees C). Line a baking sheet with parchment paper. 2. Combine flour, 1/3 cup sugar, and ground almonds. Cut in butter with pastry blender, then quickly knead into a dough. 3. Shape dough into logs and cut off 1/2-inch pieces. Shape each piece into a crescent and place on prepared baking sheet. 4. Bake in preheated oven until edges are golden brown, 8 to 10 minutes. Cool 1 minute and carefully roll in vanilla sugar mixture. Beat egg whites until very firm. Add icing sugar and blend well. Set aside 1 cup of sugar- egg white- mixture for frosting. Add almonds, cinnamon and Kirschschnaps to the rest of the mixture and mix well. Rest in fridge for 1 hour. Spread some sugar on your workplace and roll out dough to 1 cm thickness. Cut out stars with a cookie cutter and paint evenly with egg white-sugar frosting. Put on a cookie sheet and dry over night at room temperature. Preheat oven to 220º C and bake no more than 5 minutes. Stars should stay soft on the inside and white on the outside. Mix dry ingredients first. Add eggs, oil and lemon juice, mix well, then add club soda last. Canadian flour is somewhat heavier than German flour. Also, the humidity and altitude plays into baking and how the dough turns out. The dough should be slightly runny and you may need to add more club soda than specified in the recipe. Take a loaf pan and fill it with half the dough. Take the left over dough and mix with baking cacao to taste. The more cacao you use the darker the dough will be. Fill cacao dough in the pan. Decorate: Either dust icing sugar over the loaf or glaze it with chocolate. Beat egg whites to stiff peaks, sift half of the icing sugar over it and fold into egg whites. With dough hook work in almonds paste till smooth, then add coconut, lemon rind and rum. Cover cookie sheet with baking paper. With two teaspoons place small heaps of coconut mixture or use piping bag, spaces 4 cm. Bake at 160°C for 20 min. Macaroon should be lightly browned on outside but still soft on the inside. Let cool on cake rack. Melt chocolate and butter in double boiler, dip macaroons 1/3 into chocolate glace and let dry on cake rack. In Germany you can buy smoked pork chops in one big piece. In Canada they usually come already cut up. Buy 8 pieces. Cook them in the oven for 45 min at 200°C. After 25 min sprinkle with brown sugar and an keep baking. Let cool down. Take apples, peel and core. Cut in rings and steam together with prunes and a bit water and some lemon juice. Let cool down. Take smoked pork chops and decorate with apple rings, prunes, orange slices and cress. Dissolve yeast and 1 tablespoon sugar in the warm water. Let stand 5 minutes, or until bubbly. In a bowl, stir the milk, melted butter, 1 tablespoon sugar, and 1/4 teaspoon salt until dissolved. Add the bubbling yeast mixture and then the flour, beating until a smooth dough forms. Add flour as necessary, until the dough can be formed into a soft ball. Turn dough out onto a lightly floured board and knead for 5 minutes. Place it back in the bowl, which has been lightly greased or sprayed. Let rise in a warm place until doubled, about 45 minutes. Punch dough down, divide into 12 pieces, and shape the pieces into balls. Place the balls 2 inches apart on a lightly oiled baking sheet, cover with a clean towel and let rise in a warm spot until doubled, about 45 minutes. Melt 2 tablespoons butter in a 10 inch skillet or saucepan with a tight lid. Stir in 2 tablespoons of sugar and the milk and bring to a boil. Reduce heat to low, arrange the dumplings in the saucepan and cover. Simmer for 25 minutes without peeking and then check. Keep simmering until the dumplings have absorbed all the liquid. Remove from heat but keep warm until serving. Serve warm, bottom side up, with Vanilla Sauce and tart fruit compote. If you have leftovers, place them on a plate, bottom side up and cover with a clean towel, not plastic. Eat cold or reheat in oven. Eat within 1 day for best quality. Mix all ingredients to a dough and let rise in a warm spot for 30 min. Roll out, about 2 cm thickness and use a water glass to cut out Berliner. Let rise for another 30 min. Heat oil (canola) to about 175°C and fry Berliner for 3 min on each side. Let them cool and pad off any excess oil with kitchen paper towel. Use a piping bag filled with jam to fill Berliner. Dust icing sugar on top. 1. Prepare the pudding layer. Mix pudding powder with sugar and 2 Tablespoons of milk. Bring the rest of the milk to a boil. Take pot from the stove, stir in the pudding mixture, set back over the heat, stir and let the pudding cook until thickened. Immediately pour the pudding into a bowl and cover with plastic foil that you pressed directly onto the pudding. Make sure there are no air bubbles between the pudding and the foil. Set at side to cool to room temperature. Don’t transfer the pudding into the fridge! Beat the butter creamy and mix in the pudding (now at room temp) spoon after spoon. 2. Prepare the cake layer. Preheat your oven to 350 F (180 C) and grease a 16 x 12 x 1 in baking sheet and cover with Parchment paper. Make sure the paper sticks very well to the baking sheet. In a bowl combine flour, baking powder and salt. Mix well and set aside. In a stand mixer combine the eggs and the sugar and beat on medium speed for about 4 minutes. Slowly add the oil and vanilla extract. Set your mixer on low speed and add ⅓ of the flour mixture and let it mix. Now add half of the milk. Continue to incorporate all the milk and flour, ending with flour mixture. Spread half off the dough evenly onto the prepared baking sheet. Add cocoa and milk into the other half of the dough and mix well. Spread evenly over the first dough layer. Distribute cherries on top of the dough. See picture. Bake in oven for about 25-30 minutes. 3. When cake layer is done, transfer the cake still attached to the parchment paper onto a cooling rack. Let cool completely. Once the cake is cooled spread the pudding evenly on top. Let cool, best in the fridge or other cold place until the pudding layer is a little firmer. Dissolve 2 tsp. sugar in 175ml warm water. Sprinkle yeast over water and let stand for 10 min or till bubbly. Measure flour and keep in warm place. Heat milk in a saucepan and add sugar, butter and salt. Let cool at 45°C. Pour this mixture into a large mixing bowl, add yeast mixture and stir. Add eggs and gradually mix in 2/3 of flour, raisins, almonds, lemon zest and vanilla. Beat dough very well with wooden spoon or electric mixer. If dough is still sticky add more flour until dough clings together and leaves the sides of the bowl clean. Turn dough out onto lightly floured surface and knead an additional 3-4 min. Then divide dough in a larger and a smaller part, approx. 2/3 and 1/3. Divide each part in thirds and roll into long rolls. Braid into one large braid and small braid. Brush large braid slightly with beaten egg white on top. Lay small braid on top of large braid. Transfer onto greased baking sheet and let rise. Brush dough braid with egg wash very gently and sprinkle with flaked almonds. To make sugar glaze, stir both ingredients together and if mix is too thick, add carefully some warm water until mixture flows in a line when dripping from spoon. If braid is browning to quickly in the oven, cover with tin foil. After removing from oven, glaze quickly and let cool before slicing. Bake at 200°C for 40-50 min. Mix yeast with 5 tbsp. of milk and 1 tsp. of sugar. Let sit for about 15 min in a warm spot. Then mix yeast mixture with rest of milk, sugar, eggs, 50g of butter, salt, cinnamon and cardamom. Add to flour and knead with mixer until dough is even. Let the dough rise for an hour. Take the rest of the butter and cut in little squares, let freeze. Wash currants and raisins and mix together with frozen butter squares under the dough. Form tomato sized balls and place on grease (or baking parchment) cookie sheet. Let them rise again. Mix yolk with some milk and glaze buns, add decorating sugar. Bake for 30 min at 200°C. Grease a Bundt pan with butter, sprinkle with flour. Sift flour into a mixing bowl and create a well. Add yeast a small amount of sugar and milk until a spongey consistency is achieved. Let stand for 20 min. Melt the remaining butter, and add with the remaining milk, sugar, the salt and the lemon zest to the dough. Knead in the raisins. Add dough to the greased pan and let stand for 30 min or until it has doubled in size. Bake in a preheated oven at 220Cfor 30-40 minutes. Let cool on a cake rack. Drizzle with the lemon icing. Cut vanilla bean lengthwise and remove vanilla seeds. With a hand mixer, whip vanilla seeds, 6 egg yolks and 250g of confectioner’s sugar for 5 minutes until creamy. Add 350ml of condensed milk and ¼ liter of rum to the mixture. Over a hot water bath, using the hand mixer beat mixture for 6-8 minutes until the mixture is thick and hot. Make sure that the mixture DOES NOT boil/cook. Fill bottles with the eggnog and immediately seal. The eggnog will last about 4 weeks in the fridge. The eggnog will become a little thicker when it stands for a long period, just shake the bottle to get it back to its original consistency. Whisk quark, milk and sugar together until slightly foam. Sugar is to taste. Fill shallow bowls with the mixture and place half an apricot in the middle with the round side up. If you like you can add some of the apricot juice into the mixture for extra flavour. Wash orange and lemon thoroughly. Slice orange into disks. Take lemon and slice of peel in a spiral form. Press out the lemon and keep juice. Heat the wine in a pot, sift lemon juice and orange juice and add to wine. Add spices and let simmer (do not boil) for some time. Transfer into a bowl and place on a teapot warmer (fondue might work as well, just make sure it does not boil). Place orange disks into the Feuerzangenbowle and decorate with lemon peel. You need to place the sugar hat on top of the bowl, using fire tongs. Pour some warm rum on top of the sugar hat and place some rum in a ladle. Light rum in ladle and pour slowly on the sugar hat. Keep repeating until all rum has been pour. Due to the heat and liquid the sugar will dissolve into the bowl. Before serving stir well. Grease the casserole form with butter and set aside. Make some slices into the tomato skin and place in boiling water for a short moment. This will make it easier to remove the skin. Peel of tomato skin and slice them up. Wash the fish filets under running water, dry with paper towel and sprinkle with lemon juice and salt. Then stack the filets and tomatoes alternately into the casserole dish. Whisk eggs, whipping cream, salt, pepper and a bit of parsley together and pour over the fish-tomato dish. Cover the casserole with aluminum foil and back in the pre-heated oven at 220°C for 20-25 min. For the cake batter, beat eggs and water together until the mixture has doubled in volume. Gradually add sugar. Mix flour and baking powder together and sift. Add flour a little at a time to the egg mixture, folding the flour in gently. Fold in the melted (but cooled) butter. Prepare a springform by buttering it or by using a cooking spray. Pour in the batter. Bake for around 40 minutes. Set aside and allow to cool. To prepare the butter-cream, mix the vanilla pudding mix and sugar in a bowl. Heat the milk in a pot, bringing it to just boiling. Remove the milk from heat and gradually add the vanilla pudding mixture, whisking constantly. Set aside and allow the pudding to cool. Whip the butter in a mixer until it becomes fluffy. Fold in the cooled pudding a little at a time. Continue until all pudding is mixed into butter and the mixture is smooth. For the Krokant, mix all ingredients in a pan. Heat until the almonds develop a light brown color. Transfer krokant to a sheet of aluminum foil or parchment paper and allow to cool completely. Now we need to assemble the cake. Begin by cutting the cake into 3 even layers. Place the bottom layer on a cake plate. Spread a thin layer of jam on this layer of cake. Then spread a thin layer of butter-cream over the jam. Place the middle layer of cake on top of the butter-cream. Repeat with the middle layer. Frost the cake with the butter-cream. Reserve about 6 tablespoons of the butter-cream for decoration. Sprinkle the Krokant over the frosting so that the all sides of the cake are decorated with Krokant. Fill a piping bag (fitted with a decorative tip) with the 6 tablespoons butter-cream. Create several miniature mounds of cream on top of the cake, spaced evenly apart (see photo). Place one candied cherry on top of each mound. The amount for the dough is very large, thus it might be a good idea to divide the ingredients in half and make two dough, combining them when finished. Sift flour into bowl and combine, add sugar and honey and eggs and combine. Add baking soda, cloves, cinnamon, ginger and zest and knead dough well. Let sit for 20 hours. Make templates for house pieces out of cardboard according to drawing. Take the dough and roll out to 0.5 cm thick sheet. For the base, cut a 30×40 cm piece. Then cut long sides x 2, short side x 2 and roof x 2. Only one short and one long side will have a door. Then cut small things: 1 door (3×6 cm), 1 round door (5×6 cm) and 16 shutters (3×2 cm). There is also a 27 cm long fence piece and two trees. For the trees cut star shapes that gradually get smaller, 9 pieces per tree. Place all pieces on cookie sheets (lined with baking paper). Glaze with beaten eggs. Bake at 200°C for about 15 min. While still warm, cut 8 holes for the “feet” of the sides. Let cool completely. Now assemble the house and use toothpicks for support. Especially the roof will need that support. Also use this technique for the fence. Take wooden kebab sticks and assemble trees, starting with the biggest star. Stick them into the base of the house. Using the glaze, glue doors and shutters onto the house and decorate it with a piping bag. Add candy as decoration. Sift some icing sugar on the house and ground to create the illusion of fresh snow. Peal pears and place in apple juice immediately. Add ginger, some lemon juice, cinnamon stick and star anise. Bring to boil and let cool down. Good side dish for Cold Pork Chops or as dessert with whipping cream. Mix all ingredients well starting with milk and eggs. Add the flour spoon by spoon using a regular spoon, not the measuring spoons. The more flour you add the thicker the dough gets. Let the dough sit so that the flour can soak and thicken. Stir before using. If you like thin pancakes, you want a thin dough. However, if you prefer your pancake a bit thicker, make sure you use a bit more flour. Heat your pan. I recommend a pan that has low edges, if you have a crepes pan you should use that. Add a little bit of oil and make sure it is hot before using. Take a ladle full of dough and pour into your pan. When the upside of the pancake is not liquid anymore you can flip it. Brown both sides and stack on a separate plate. Serve warm. Germans eat their pancakes with sugar, marmalade or jelly, sugar/cinnamon mix or Nutella. There are those that like them more savoury with cheese and ham. German pancakes are suppose to be rolled up, so when you fill them do not overfill. Mix all ingredients in a bowl with a hand mixer or a stand mixer equipped with dough hooks. Flour dust a clean working area and knead the dough by hand for a short time. Form a roll and place in wax paper to let the dough rest in a cool place for 30 min. Use a 26cm diameter spring form and grease it well. Take the dough and roll it out to line the spring form with it. Prick with a fork several times. Bake at 200°C in pre-heated oven for 15-18 min. Tip:Let the baked pastry case cool off completely, then take a thicker parchment paper piece and put that inside the spring form. This will make sure the torte will hold its shape. Take 1/3 of the milk and stir in the vanilla pudding. Heat the rest of the milk and 1/4 cup sugar, take off the heat and stir in the milk-pudding mix. Reheat again until it a smooth pudding consistency. Let it cool down before you stir in the quark. Both should have the same temperature. Beat the egg whites with the rest of the sugar until stiff. Carefully fold in the beaten egg whites into the pudding-quark mixture. Fill the prepared baked pastry case. Slightly beat the egg yolk and brush on the torte carefully. Bake at 140°C in pre-heated oven for 60 min. After that time, turn off the heat and leave the torte in the oven for another 2 hours. After the 2 hours are up, remove the torte from the oven and let it completely cool of. If you fail to do so it won’t be solid. Take off the spring form ring and place the torte on a plate. Carefully remove the parchment paper and cut into 12 or 16 pieces. Cream butter and sugar together until smooth then add each egg and mixing in between until you have a smooth consistency. Add the quark, preferably not all at once but in stages, mix until smooth. Vanilla pudding, lemon zest and lemon juice are added last. If you like you can mix in pistachios and raisins but this is optional. Take a spring form and cover the bottom with parchment paper. You may grease the sides with butter and dust them with flour for less stickiness. Fill the form with the mixture. Bake at 180°C in a pre-heated oven for 60 min. Even though this “cake” is fairly “wet” you still can check if it’s done with a skewer or if you lightly shake the spring form. If the center is still wobbly it’s not done. Depending on oven and location, baking might take longer. Tip: Make sure the cake is cooled off before moving it. In it’s warm state it’s very delicate and breaks easily. Once it’s cooled off and even a bit refrigerated it will be easy to place on a platter and cut up. Tip 2: If the top is getting dark but the “cake” is not done yet, place aluminum foil over it to protect from the heat. Mix ground meat with egg, salt and pepper. Form 8 patties and cook in pan or on BBQ for 2-3min each side. Cut buns in half, place a slice of cheese on top half and toast. Slice up cucumber and onion. Add chilli sauce on bottom half, place patty on top, garnish with onion, cucumber, lettuce. “Close” hamburger with top half. A personal tip: I like to add ketchup, mustard, bread crumbs and minced onions to the ground meat mix. The breadcrumbs help to from nice patties and ketchup and muster add extra flavour. Melt 2 tablespoons of the butter in a skillet; sauté half the onions 5 minutes. Mix in the diced bread and parsley; sauté 2 minutes. Combine this mixture with the beef, pork, egg, salt, and pepper. Mix well and shape into a loaf; sprinkle with the bread crumbs. Melt the remaining butter in a baking pan. Place the loaf in it and add the broth and remaining onions. Bake in a 375°F oven 1 1/4 hours, basting frequently. Combine the hazelnut and cream of wheat, sift the flour and baking powder. Add all dry ingredients together and while mixing add slowly milk. The dough should be runny and easy to pour into a pan. Most pans are none stick pans, if you use a Gugelhupf form you should grease it with butter and dust it with flour. As a result, the cake should be easier to remove. Bake at 180°C for about 25 min. Check with a tooth pick or kebab stick if ready. Let the cake sit and cool down. Depending on your pan the cake might stick a little, be careful when removing from the pan. To decorate your cake either dust icing sugar over it or glaze it with chocolate or icing. Clean the chicken and dice up the soup greens. Cook both in 2 liter of salt water. After cooking, skin the chicken, debone and dice it. Pour the broth through a sieve and set aside. For the sauce, melt the butter in a sauce pan then sprinkle the flour on it and mix carefully. Make sure the temperature is not too hot otherwise it will burn. Add the chicken broth to make the sauce and let it cook for 10 min, stir in between. Combine the egg yolk with the evaporated milk and blend into the sauce but do not cook it. Add lemon juice or wine as well as salt to taste. Clean the mushrooms, lightly fry them in a pan or steam them. Add the chicken and mushrooms to the sauce. Serve with rice. Sift flour, baking powder and icing sugar into a bowl. Add soft butter, milk, egg and salt and knead dough well. Wrap in plastic warm and refrigerate for 2-3 hours. Wash Italian plum and remove core. Use a baking tray and grease well. Roll out dough onto the tray and sprinkle with ground hazelnut. Place Italian plume with skin down on dough. Sprinkle with sugar/cinnamon mix before or after baking. Cream butter and sugar in a warm bowl until mixture forms soft peaks. Add eggs, on at a time, stir continuously after each. Add salt, vanilla and rum. Sift together flour, cornstarch and baking powder. Dredge lemon peel, currants and raisins with 1-2 tbsp. of flour mixture. Stir flour mixture alternately with milk into creamed mixture. Fold in lemon peel, raisins and currants. Grease and flour a 11×21.5 cm loaf pan, fill with mixture. Bake at 180°C for 65-75 min. Vom Weißkohl die äußeren Blätter ablösen. Strunk herausschneiden. Kohl in Salzwasser ca. 5 Minuten kochen. Herausnehmen, kalt abschrecken. Für 8 Rouladen 16-24 Blätter ablösen, Blattrippen flach schneiden. Brötchen in kaltem Wasser einweichen. Zwiebel abziehen, fein würfeln. Petersilie hacken. Ausgedrücktes Brötchen, Zwiebel, Petersilie, Ei, Hackfleisch, Salz und Pfeffer verkneten. Kohlblätter trockentupfen. Je nach Größe pro Roulade 2-3 Blätter aneinander legen. Hackmasse darauf verteilen, Blätter seitlich einschlagen und aufrollen. Mit Küchengarn zusammenbinden. Portionsweise im heißen Öl anbraten. Mit etwa der Hälfte der Brühe ablöschen. Kümmel zugeben. Bei geringer Hitze ca. 30 Minuten schmoren, restliche Brühe zugießen. Rouladen herausnehmen, Sud eventuell binden. Abschmecken. Mix the ground meat with the egg, onion, breadcrumbs, salt and pepper and form meatballs. Bring a pot of water with the spices added to a boil. Cook the meatballs in the pot until done. Take the meatballs out of the water. Bind the water with flour and milk. Bring to a boil. Add capers. Add salt, pepper, sugar and vinegar to taste. Remove the pot from the stove. Add whipping cream. Add the cooked meatballs. Serve with boiled potatoes and beets, if you like. Sauerkraut am besten ein Tag vorher kochen. Zwiebel andünsten, Kraut dazu geben mit Brühe aufgießen, salzen und Kümmel dazu geben. Lange köcheln lassen und immer wieder aufgießen. Aus Salz, Mehl, Ei und Wasser einen geschmeidigen Teig herstellen. In 2 hälften teilen und jeweils dünn ausrollen. Kraut auf den Teig verteilen und von der Längseite straff einrollen. Ca. 4 bis 5 cm dicke Rollen abschneiden. Butterschmalz oder Öl in der Pfanne erhitzen, Wasser hinzufügen und die Krautrollen einsetzen. Bei fast geschlossenem Deckel solange köcheln lassen bis das Wasser verdampft ist. Dann die Krapfen wenden und weiter braten bis eine schöne Krüste entsteht. It is best to make the sauerkraut one day before making this recipe. In a saucepan, sauté onions then add the glass of sauerkraut. Add broth, salt and caraway seeds. Cook a while and continue to add broth, so the mixture does not dry out. Form a smooth dough from salt, flour, egg and water. Divide into 2 pieces and roll out thinly using a rolling pin. Spread the sauerkraut mixture onto the rolled out dough, lengthwise roll up the dough tightly. Once done, cut 4 to 5 cm thick rolls. Heat up the butterschmalz or oil, add water and place Krapfen into the pan. Barely cover the pan and cook until the water has evaporated. Then turn the Krapfen and cook until a nice crust forms. Serve. Schritt 1:Mehl in eine Schüssel geben und in die Mitte eine Mulde drücken. Hefe hineinbröckeln. Bier erwärmt auf 30 °C, dazugießen und alles mit etwas Mehl verrühren. Schüssel mit einem Tuch bedecken und 20 Min. gehen lassen. Schritt 2:Wasser und Salz zugeben. Den Teig so lange schlagen, bis er Blasen wirft. Zugedeckt 30 Min. gehen lassen. Den Backofen auf 200 Grad vorheizen. Teig nochmals durchkneten und in 10 Portionen teilen. Auf einer bemehlten Arbeitsfläche 10 Würste ausrollen. Schritt 3:1 Liter Wasser mit Natron vermischt zum Kochen bringen. Nun nach und nach jedes Brezel mit dem Schaumlöffel in die Lauge tauchen. 30 Sekunden darin belassen und dann umdrehen. Aus der Lauge nehmen und so fortfahren bis alle Brezen einmal getaucht sind. Schritt 4:Dann auf einem Backblech anordnen und mit Salz bestreuen. Backen bei 200 °C für 20 Minuten. Step 1: Put flour in a bowl and form a little well in the middle. Crumb yeast into the well. Warm beer to 30°C, add to flour/yeast mixture and combine. Cover bowl with a kitchen town and let stand somewhere warm for 20 minutes. Step 2: Add water and salt to bowl. Mix until there are air bubbles in the dough. Let stand for another 30 minutes. Preheat oven to 400°F. Knead dough again and divide into 10 pieces. Form 10 rod-shapes on a floured surface. Step 3: Mix 1 litre of water with baking soda and bring to a boil. One at a time, dunk the rod shaped pieces of dough into the water mixture for at least 30 seconds, making sure all of the dough’s surface is covered. Complete this step for the all the pieces. Step 4: Lay dipped pieces on dough on a cookie sheet and sprinkle coarse salt over top. Bake at 400°F for 20 minutes. Boil or steam potatoes with skins on. Be careful not to let them overcook. Let them cool off enough to handle. Peel potatoes, cut them into quarters lengthwise and then slice thinly. Texture is important. Add the onions, parsley and pickles. Toss lightly. Prepare marinade by combining all ingredients listed, giving it a good whisk. Pour over warm potato mixture and blend well. Wrap tightly with plastic wrap and let stand at room temperature at least an hour for flavours to blend. Before serving toss again and adjust seasoning. Sprinkle with additional parsley. If potato salad needs to be refrigerated for later use, take it out at least 1 hour before serving. Makes about 10 portions. Serve to Bratwurst and buns. Sift together flour, baking powder, cocoa, cinnamon and cloves. Mix in sugar and make a well in the center. Add finely grated almonds. Place 2 lightly beaten eggs and Kirschwasser or rum in well. 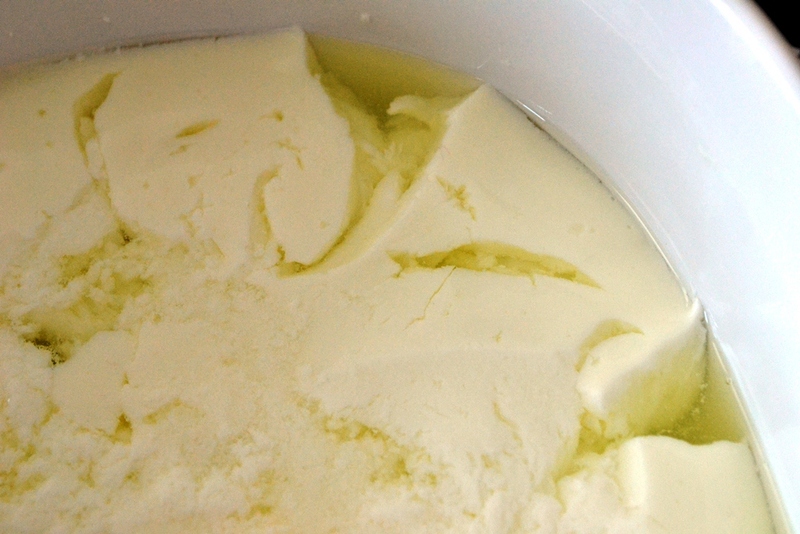 Cut cold butter in small pieces and spread over other ingredients. With both hands work everything into a small ball. Wrap in plastic wrap and refrigerate for at least 3 hours. Use about 2/3 of dough and roll out to cover bottom of a 28cm spring form. Spread generous layer of jam onto dough. Roll out remaining dough on floured surface ½ cm thick. With 2 cm wide stripes create lattice top, finish with a strip around rim of cake pan. Brush cake top with egg wash.
Bake at 180°C for 45min. Tipp: Linzer Torte is best enjoyed when aged 2-3 weeks. Wrap in plastic and store in a cool place. It will keep up to 6 weeks. Mix flour, butter, yolk, sugar, vanilla, lemon zest and ground hazelnut to a dough. Either you use your machine or knead it yourself. Wrap dough in plastic wrap and refrigerate for 2 hours. Take the dough and roll out, not too thick. Take two different cookie cutter, one for the base, the other with a hole and cut equal amounts of cookies. Line baking sheet with baking paper. Back at 200°C for 10 min. The colour should be golden-brown. Let cool down for a bit. While cooling, mix jam with lemon juice. Spread mixtures on your base and place cookie with hole on top. Now sift icing sugar over cookies. Serve. Wash apples and dry with paper towel. Mix sugar, lemon juice and water in a pot and heat until sugar is dissolved. Cook until 145°C is reached. Colour with red food colouring. Put apples on thicker kebab sticks and dip into syrup. Immediately dip into a bowl with cold water and twist to make sure syrup will not drip off apples. Place on a greased aluminum foil. Repeat procedure until desired thickness of coating is reached. Keep apples in a dry location so that sugar coating will not dissolve. Beat softened butter, sugar and salt together in a stand mixer or with a hand mixer. Slowly add each egg, combining well in between until the batter is foamy. Mix flour and baking powder and sift onto the batter, add the milk and combine well. Tip: Add the flour spoon by spoon and milk slowly for best result. You might have to use a bit more milk, the batter should be slightly runny. Divide the batter into two equal parts. Grease your Bundt cake form with butter and dust with flour, then add the first part of the batter. Melt the chocolate and mix with cocoa powder and vanilla under the remaining part of the batter, then fill this into the Bundt cake form. Take a fork and swirl it around, slightly mixing both batters. This will give the cake the marble effect. Bake at 180°C in pre-heated oven for 80 min or until tooth pick comes out clean. Rindermark in einem Topf bei kleiner Hitze langsam schmelzen lassen. Inzwischen das Toastbrot entrinden und im Blitzhacker fein mahlen. Petersilie abbrausen und trocken schütteln, die Blätter abzupfen und fein hacken. Das Rindermark durch ein Sieb in eine Schüssel gießen. Brotbrösel, Petersilie, Eier und Paniermehl dazugeben und alles vermischen. Mit Muskat, Salz und Cayennepfeffer würzen. Die Masse ca. 30 Min. kalt stellen, dann zu walnussgroßen Kugeln formen. Vor dem Servieren die Klößchen in siedender Brühe in ca. 10 Min. garen. Melt bone marrow in a sauce pan, while its melting cut crust off of bread and turn into bread crumbs. Wash parsley and finely chop. Press melted bone marrow through a sieve into a bowl. Add bread crumbs, parsley, egg and other bread crumbs and mix everything together. Season with nutmeg, salt and cayenne. Put bowl into fridge for 30 minutes and let cool, then form mixture into walnut size dumplings. Before serving, let dumplings warm up for 10 minutes in a broth. To make the dough sift flour into a bowl and mix with dry yeast. Add milk sugar butter salt and vanilla and knead well. Place in a warm spot for 30 min. Let rise. To make the filling mix all ingredients well. Take the dough and roll out dough to dimensions of 50×40 cm. Spread filling on the dough and roll up. Cut roll lengthwise and spin both to a spiral. Place on cookie sheet and let rise again. Mix flour with salt, eggs, oil and just enough water to make a smooth dough. Knead for 5-10 minutes, until satin-y. Form dough into a ball, oil surface, wrap in plastic wrap and let rest for at least an hour. Cook bacon and remove from pan. Sauté onions and garlic in bacon drippings until translucent. Mix all filling ingredients well. If you want a finer texture, put ingredients through a meat grinder, too. Score dough with a knife, one time through lengthwise and five perpendicular cuts to make 1 dozen rectangles. Place one tablespoon dough on each rectangle. Fold rectangle over and pinch sides to close. Bring broth to a simmer and place 1/3 of the Maultaschen in the broth. Cook for 15 – 20 minutes. Remove and drain. Keep warm if not serving immediately. Repeat with the rest of the Maultaschen. Serve in bowl with some broth and sprinkled with chives and/or parsley. Mix the eggs, sugar and shot of mineral water with a mixer until frothy. Carefully add flour, baking powder, and cocoa powder so that a smooth dough forms. Place dough on cookie sheet and spread out in an even layer and bake at 400°F for 15 minutes. When done remove cake from cookie sheet and let cool. For the filling, soften the gelatine in cold water for 5 minutes. Afterwards, heat up the gelatin in a small pot at mild heat and put aside. In the meantime, heat up milk in a pot with sugar and honey until dissolved. Once done, add cornstarch until pudding has formed. Take off heat and continually stir until cooled down. Lastly, whip cream and add to pudding. Take approximately 3-4 tbsp from the pudding and add to the gelatin mixture, mix and then add to the rest of the pudding. To assemble, cut cooled cake in half and place the cream on one half of the cake, making sure the pudding is an even layer. Place other half of cake on top and let cool until pudding is hardened. Then cut into small rectangular pieces of about 12cm by 4 cm and serve. Heat all ingredients in a heavy-bottomed pan. Simmer for about 5 min before serving. Do not boil! Strain and pour into glasses. Remove lemon rind from bowl. You might add a bit of nutmeg if you like. Personal tip: Peal oranges and cut them up, heat with other ingredients, which gives the mulled wine a fruity taste. 1. For the Auflauf, melt butter. Add flour and mix. Remove the pan from the stove, pour in milk, mix well. Place back on the stove and bring to boil while stirring, simmer for 5-10 minutes, then let cool slightly. Add salt, egg yolks, sugar and vanilla sugar, stirring constantly. Beat egg whites until stiff, then add to the pan and gently fold into the mixture. 2. Fill mixture into the buttered oven-safe pan, place apples as a circle into the mixture. 3. In the lower part of a pre-heated oven (350° F) bake 35-40 minutes . Dust with cinnamon and powdered sugar once finished baking. 5.Serve Auflauf while warm and top with vanilla sauce. Cut the meat into cubes and sear in butter or oil. Dice onions and mix into meat. Combine flour, salt and paprika and sprinkle over meat mix. Boil the water or broth and slowly add ¼ liter to the meat. Peel tomatoes (blanch to make peeling easier) and cut into cubes. Clean the bell pepper and cut into strips. Add both to the meat mixture. Pour the rest of the broth or water over the meat mixture, cover with a lid and let it simmer until fully cooked. Add salt and paprika to taste. You might add some cream for a finer taste. Mix flour, salt and active dry yeast very well. Add lukewarm water and knead dough into a ball that does not stick to the bowl. Let the dough rise in a warm spot for 15 min. Now you can prepare the baking sheet. Grease with butter and dust flour over it. The oven needs to be preheated to 200°C. Knead the dough again and roll out to the shape of your baking sheet. Spread the tomato sauce over rolled out dough. Garnish with your favourite vegetables and meat. Top off with sliced or shredded cheese. Bake pizza for 20 – 30 min or until cheese is golden-brown. Cut potatoes and carrots into cubes and cook both together. When potatoes and carrots are done pour all in a sieve. Dice the onion. Put some oil in the pot and add onion. When they are done add potatoes, carrots and the vegetable broth. Puree all with the mixer. Bring to boil. Add parsley, pepper, maybe some more instant stock mix and the sliced Wieners. Add some crème. 3. In a large skillet, heat lard over medium heat. Place the potato strips into the skillet, and fry until golden brown on both sides. This chart of Milk Products will explain in which category quark falls. Two liters of buttermilk will make about 500g of quark, depending on how much liquid you will leave in the quark. Heat your oven to 135°C and take out a fire resistant form and make sure it will hold 2 liters. The buttermilk will separate in the heat and quark will form. However, a liquid will be left over that needs to be strained. Pour the buttermilk into the form, place on a cookie sheet with a lip (in case you spill) and place it in the oven for 45 min. Remove from the oven. You will be able to see that the white stuff (which will be your quark) will float in a clear liquid. Excess fluid we don’t need. Quark can be used in many different ways, for example mix it with herbs for spread or baked potatoes. You can bake with quark, like German Quark Torte. Or you can make a quark dessert with fruit. Measure the raisins and soak them with rum. The more rum you use, the sticker the dough will be. Also, the longer you soak them, the stronger the flavour. After soaking, combine all ingredients well. The dough will be a bit sticky. Take a spoon and cut off pieces to make the cookies. Place on a cookie sheet lined with baking paper. Those cookies do not spread very much and you kind of want them look lumpy. Bake at 180°C for about 10 min. You may also other dried fruit, such as cranberries or cherries, apricots are also nice. If you have larger fruit, chop them before use. Put frozen fruit into a pot with 200 ml water and sugar. Boil for 3 minutes. Remove from stove. Add fresh berries. Mix corn starch with some water and mix with fruit mix. Let cool down. • Rub the goose well with salt, pepper and mugwort, inside and out. • Stuff it with one pound of chopped apples and 1 pound of peeled and chopped onions – to a good portion of sagebrush. • Place the goose in a large saucepan and pour in water – the water should stand 1.5 to 2 inches high. • Place the covered pot in the baking oven at 120 degrees Celsius (248 F), regularly checking the roast. • After about one hour, carefully take out the roast. • Drain and keep the water with the extruded goose fat, put the goose aside for now. Next, put the rest of the finely-cut apples, chopped onion, peeled carrot and chopped celery into the pot. Pour half of the meat broth and the red wine in, put the goose back into the pot, cover it, and place the roast in the oven again. A good roast takes patience: Heat the oven to 150 degrees Celsius (300 Fahrenheit) and leave it for 2-3 hours, regularly checking and basting the goose with broth from the bottom of the pot. Given how much attention needs to be paid to the goose roast itself, it’s best to use ready-made potato dumplings (frozen or from a mix), Italian gnocchi (which aren’t the traditional side but taste similarly) or simple salted potatoes (Salzkartoffeln). Red cabbage (Rotkraut) in jars and vacuum-packed chestnuts. After three hours, prick gently into the goose. When the juice that comes out is almost clear in color, the goose is nearly done. Now for the difficult part: Remove the pan from the oven, carefully put the goose aside, strain the sauce from the pot through a sieve and put in a smaller pot on the stove. Then, put the goose back into the large roasting pan and back into the oven, which you heat to 180 degrees Celsius (360 Fahrenheit) with top heat and barbecue function. – After all, the goose is eventually to be crispy. Degrease the sauce on the stove top to taste. Thicken it with a little flour and butter, bringing it to a boil. If the goose is perfectly crispy, take it out and remove the filling which will have become too fatty to eat in the process. The goose is served on a nice big plate, on which it is also carved at the table. The potatoes (potato dumplings), red cabbage and chestnut sauce are served on the side. 1. Clean and remove outer leaves of red cabbage. Quarter and remove stem of cabbage. Cut strips from the pieces of cabbage. Dice onions. 2. Add butter into a pan, fry onions until clear and then add strips of red cabbage, let cook for 5 minutes. Add salt, pepper, and currant jelly. Next add bay leaf, juniper berries and vegetable stock, cover and let simmer for 20 minutes. 3. In the meantime, peel and remove seeds from apple. Dice into 1cm big pieces and all to the red cabbage mixture, continue to simmer for another 10 minutes. Mix cornstarch and red wine vinegar, stir into the red cabbage mixture and bring to boil. Once done, take the red cabbage off the heat and serve. 1. Cut the flank steak into thin filets; about 1/4 inch thick and 3 inches wide. 2. Generously spread one side of each filet with mustard to taste. Place bacon, onions and pickle slices on each filet and form into a roll. Use string or toothpicks to hold the roll together. 3. Heat a skillet over medium heat and melt butter. Place the rolls in the butter and saute until browned. 4. 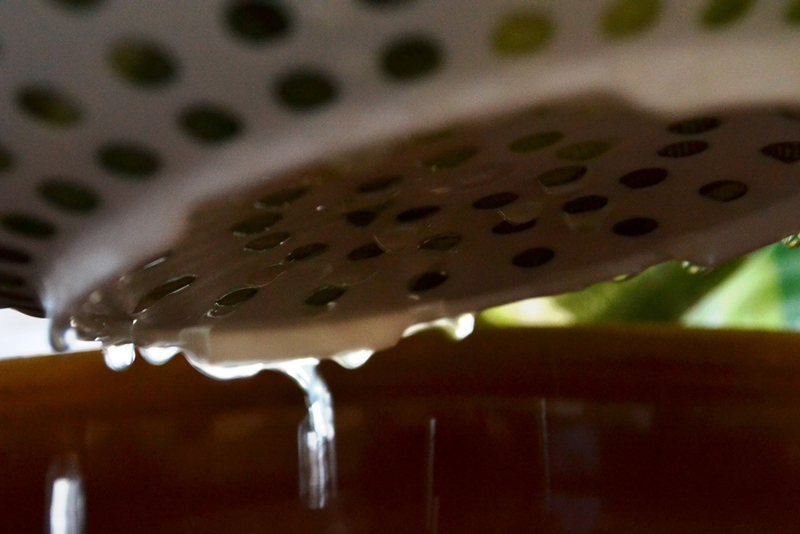 Pour in 2 1/2 cups of water and add the bouillon cube; stirring to dissolve the bouillon cube. Simmer the rolls for about an hour. For the red wine cake, whip room temperature butter with sugar and egg until incorporated. Little by little add the rest of the ingredients, lastly add the ground hazelnuts and the grated semi-sweet chocolate. The dough is enough for a 26cm baking pan. Bake the cake at 350F for approximately 45 minutes. To put a Rumtopf together you start in the summer time. And when you finally open it at Christmas time it should be a very solemn moment. To have the Rumtopf “ripened” to a true delight three things are important: Choose a pot of stoneware or pottery, use only well selected, fully ripe and clean fruit and of course the best of dark rum. Start with strawberries when they are in season. Of two parts strawberries one part white or brown sugar. Pour rum over it. Level of rum should be at least the width of three fingers above berries. Cover pot with tight-fitting lid or parchment paper and wait till your next fruit is in season. Apricots, peaches and pears must be peeled and cut in wedges. Now and then you shake the pot a little and also check the liquid level. Add more rum if needed and store in a dark cool place. Heat water, red wine, cider vinegar, lemon, 1/2 onion, garlic, cloves, bay leaves, white sugar, salt, juniper berries, and peppercorns in a saucepan over medium heat until sugar is dissolved, about 5 minutes. Allow marinade to cool and pour into a resealable plastic bag. Add beef roast, coat with marinade, squeeze out excess air, and seal bag. Marinate in the refrigerator 2 to 3 days, turning the roast twice a day. Place onions, carrots, and celery in a slow cooker. Remove roast from marinade and place atop vegetables. Strain marinade and pour 2 1/2 cups over roast; reserve remaining marinade. Cover and cook roast on Low for 8 hours. Turn slow cooker off. Transfer roast to a cutting board and cover with aluminum foil. Strain cooking liquid into a large bowl and return vegetables to slow cooker to rest. Heat about 3 cups cooking liquid and gingersnaps in a saucepan over medium-high heat, adding reserved marinade as needed, until gravy is thickened, about 10 minutes. Cut peach into wedges and slice ham in long stripes. Roll sausages into ham. Take kebab sticks and put sausage, olives and peaches on sticks (alternating). Use lettuce and grapefruit as garnish. 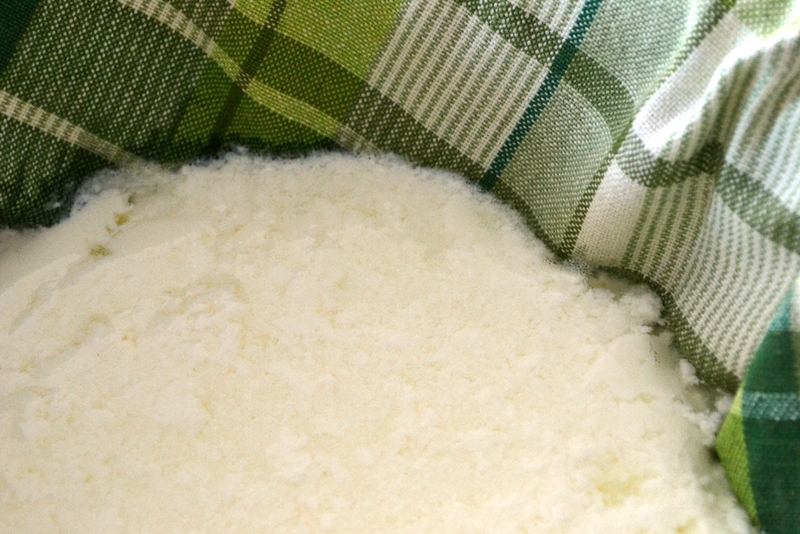 Crème fraîche is a heavy cream slightly soured with bacterial culture, but not as sour or as thick as sour cream. Originally a French product, today it is available throughout Europe and the rest of the world. This cream can be made by adding a small amount of buttermilk or sour cream to normal heavy cream, and allowing to stand for several hours at room temperature until the bacterial cultures act on the cream. Sift flour into a bowl and mix with yeast. Mix with warm milk, egg, cheese, crème fraîche, salt, pepper and nutmeg. Let the dough rise for 30 min. Divide into 20 buns and press flat. Cut four time about 2cm deep and 4 times 1 cm deep. Place on a cookie sheet and let rise again for 30 min. Glaze with yolk/evaporated milk mix and sprinkle with poppy seed or caraway seeds. Bake at 200°C for 25 min. Schritt 1:Zuerst wird die Hefe mit dem warmen Wasser verrührt. Schritt 2:Nun werden Dinkelmehl, Sesam, Salz und Essig miteinander verrührt und gut durchgeknetet. Schritt 3:Dann wird aus dem Teig ein Brot geformt und anschließend noch in Sesam gewälzt. Schritt 4:Das Brot kommt nun in den nicht vorgeheizten Backofen und wird für 60 Minuten auf 200° gebacken. Step 1: Mix warm water with yeast. Step 2: Add spelt flour, sesame seeds, salt and vinegar and mix thoroughly with water/yeast mixture. Step 3: Form a bread from the dough and roll in more sesame seeds. Step 4: Place dough in an oven safe bread form and place in a NOT preheated oven for 60 minutes at 400°F. 1. Die Eier trennen und das Eiweiß mit Zucker und Salz steif schlagen. 2. Ca. 120 g der gemahlene Schokolade vorsichtig unter den Schnee heben. Mit Teelöffeln kleine Hauben ausstechen und auf ein mit Backpapier belegtes Backblech legen. 3. Die Hauben 30 Minuten bei 150° backen lassen und kurz nachziehen lassen. 4. Die Schokolade im Wasserbad schmelzen lassen, über die Makronen gießen und hart werden lassen. 1. Separate eggs, set egg yolks a side and beat egg whites with sugar and salt until stiff peaks form. 2. Mix 120g of grated chocolate into the egg white mixture. Use 2 teaspoons to form little mountains on a cookies sheet that has been covered with parchment paper. 3. Bake the little mountains for 30 minutes at 300F. Set aside once baked. 4. Melt 60g of dark chocolate in over a water bath, once melted use a fork to top baked cookies. 1. Schweinshaxen kalt abwaschen und mit Küchenpapier abtrocknen. 4 Tl Salz und 2 Tl Pfeffer mischen, Haxen rundherum damit einreiben. 2. Die Fleischbrühe und Schweinshaxen in einem vorgeheizten Ofen bei 200 Grad auf der mittleren Schiene 1:40 Std. braten (Umluft nicht empfehlenswert). Bier mit 1 Tl Salz verrühren und alle 15 Min. in kleinen Portionen über die Haxen gießen. 3. Haxen und Gemüse aus dem Bräter nehmen und abgedeckt warm stellen. Die Sauce nachwürzen und nach Belieben mit Saucenbinder binden. 1. Rinse off the pork knuckles with cold water and dab it dry with a paper towel. Mix 4 tsp of salt and 2 tsp of pepper, rub mixture all of ham hocks. 2. Add beef stock and ham hocks to pan and place in a preheated oven (400F) on the middle rack for 1:40 hours. Mix beer with 1 tsp of salt and baste pork knuckle every 15 minutes with it. 3. Once done, remove pan from oven. Take out the meat and vegetables, set aside and keep warm. Add salt and pepper if needed to sauce. If sauce is too runny, add sauce thickener. Serve with Knödel and Rotkohl. 1. Place the bread cubes into a large bowl. Heat the milk until it starts to bubble at the edges, then pour it over the bread cubes. Stir briefly to coat the bread. Let soak for 15 minutes. 2. Meanwhile, melt the butter in a skillet over medium heat. Add the onions; cook and stir until tender. Stir in the parsley, and remove from the heat. Mix into the bowl with the bread along with the eggs, salt and pepper. Use your hands, squeezing the dough through your fingers until it is smooth and sticky. 3. Bring a large pot of lightly salted water to a boil. The water should be at least 3 or 4 inches deep. When the water is boiling, make a test dumpling about the size of a small orange or tangerine, by patting and cupping between wet hands. Gently drop into the boiling water. If it falls apart, the dough is too wet. In this case, stir some bread crumbs into the rest of the dumpling batter. 4. Form the remaining dough into large dumplings, and carefully drop into the boiling water. Simmer for 20 minutes, then remove to a serving plate with a large slotted spoon. They should come out soft, spongy and delicious! Mix everything except the broth and let it rest for 20 Minutes. Bring 1 Liter of broth to a soft boil. With a tablespoon cut small dumplings out of the dough and put them into the soup. Let it boil for 5 minutes and lower the heat to minimum. Let it simmer for about 20 minutes. Turn of the heat and leave it for 10 min. Enjoy the soup. Gurken schälen, längs vierteln, entkernen, in ca. 5 cm große Stücke schneiden, zusammen mit der Zwiebel und dem Dill in Gläser mit Twist-Off-Deckeln schichten. Wasser, Essig, Zucker, Salz, Senfkörner und das Einlegegewürz 3 Minuten kochen und heiß bis 0,5 cm unter den Rand auffüllen. Sofort verschließen. Peel cucumbers, quarter and remove seeds. Cut into 5 cm pieces, layer along with the onion and dill in pickling jars. Take a large bowl and sift flour. Make a little dent. Mix yeast with milk and pour into dent. Let the bowl sit for about 15 min and cover. Add milk, 75g sesame seeds, butter, sugar, egg, salt, cardamom and ground ginger. Knead dough well and let sit again for another 15 min. Divide dough into three 50cm long strand and braid. Form a wreath and place on cookie sheet (line with baking paper). Let the wreath rise again and glaze with yolk/milk mixture. Sprinkle rest of sesame seeds on top. Knead all ingredients to a dough. Let sit for 1 hour. Roll out dough wafer-thin and cut with pastry wheel into diamond shape about 12 cm long. Using a fork, poke several times into shapes. Heat oil (canola) to 175°C and fry each side for 1 min. After drying off excess oil, roll in sugar cinnamon mix. Take soft margarine and beat it until creamy. Slowly add icing sugar to it. Beat in eggs. Sift flour and baking powder, add to dough and mix in milk as needed. The dough should be not too runny, otherwise the cherries will sink in. It should be spreadable. Take the biggest cookie sheet with a rim, line it with baking paper and spread the dough evenly. Drain cherries (keep juice to drink) and dry them as much as possible. Spread the cherries over the dough. One glass of cherries is a minimum, depending on the size of the baking sheet, two might be better. Bake at 180°C for 30-40 min. To make the buttercream stir pudding powder into 450ml milk, heat and stir until thick. Sift some icing sugar over the top so that no skin is formed. Set aside and let cool down. The butter should also have the same temperature. Beat it until foamy. Slowly add rest of icing sugar. Add the pudding spoon by spoon. The cream should be smooth. Insert cake form so that the cream does not spill. Spread over baked cake base. The vegetable fat you use should be solid at room temperature. In Germany a solid block of coconut oil is used. Vegetable shortening does work but will be very soft at room temperature. Melt the fat and set aside. Sift cocoa powder and icing sugar together, stir in yolk. The fat should be as cool as possible so that the yolk does not clod and makes clumps. Slowly stir in fat and mix thoroughly. It should have a full cocoa taste but should also be somewhat sweet. Add more icing sugar if needed. Spread quickly over the buttercream and let cool down in fridge if necessary. In Germany you can buy a square frame for cakes like this so that nothing runs down the sides. It is changeable so it fits most sizes. You can make a form by cutting strips of carton to the size of your baking sheet. Make sure it is high enough. Wrap the strips about 4 times with aluminum foil. Insert strips on all sides. Melt butter in a pan, add thinly cut strips of leek and finaly chopped onion to pan to sweat slowly. Add diced kohlrabi and diced onion, continue to cook. Add vegetable stock, bring to a boil then reduce heat, cover and simmer for about 10 minutes. Add pasta and milk, bring to boil once again, reduce heat and let simmer for another 10 minutes. Drain and rinse 1 can of beans, add to pan along with cream, spinach and cheese. Let warm through over low heat. Before serving ad pepper and nutmeg to taste. Prepare your cookie sheets by lining them with baking paper and heat the oven to 200°C. Combine flour and baking powder in a bowl. Then add the other ingredients and combine all with a mixer and dough hook on low. Turn on high until you have a smooth dough. Turn the dough onto a flour dusted working surface and roll it out thinly. Using a round cookie cutter with a diameter of 4 cm, cut out cookies and bake for 10 min. Let the cookies cool off, smooth jam/jell with a spoon, then brush one cookie with it and place a second on top and press together. 2. Bring a large pot of lightly salted water to a boil. Press batter through a spaetzle press into the water. You may also use a potato ricer, colander, or a cheese grater. When the spaetzle has floated to the top of the water, remove it to a bowl with a slotted spoon. 3. Saute cooked spaetzle in butter or margarine. Sprinkle chopped fresh parsley on top, and serve. 1. Sift together flour, nutmeg, salt and pepper. Beat eggs in a medium bowl. Alternately mix in milk and the flour mixture until smooth. Let stand for 30 minutes. 2. Bring a large pot of lightly salted water to a boil. Press batter through a spaetzle press into the water. You may also use a potato ricer, colander, or a cheese grater. When the spaetzle has floated to the top of the water, remove it to a bowl with a slotted spoon. Mix in 1 cup of the cheese. 3. Melt butter in a large skillet over medium-high heat. Add onion, and cook until golden. Stir in spaetzle and remaining cheese until well blended. Remove from heat, and serve immediately. 1. Drain apricots from can, saving the juice for a later time. Preheat oven at 350F. Butter cookie sheet. 2. With a hand mixer, combine butter and 200g sugar until creamy. Add one egg at a time. Mix flour, baking powder and salt in a bowl add to butter mixture, alternating with 100ml of apricot juice. Spread dough onto buttered cookie sheet, let bake for 20 minutes or until golden brown. Once done, set aside and let cool. 3. In the meantime, mix vanilla pudding with 100g sugar, add 6 tbsp of milk and stir until smooth. Bring the rest of the bilk to a boil, remove from heat and add the vanilla pudding mixture with a whisk until there are no clumps. Place pot back onto the stove and cook until a pudding is formed. Let cool, still stirring every few minutes so a skin does not form. Stir in sour cream. Spread the mixture over the cake, placing the apricot halves on the pudding layer as “egg yoks”. Serve. Heat the honey, brown sugar and oil in a little pot to combine them. Don’t boil, just heat slightly. Pour into a mixing bowl (no mixer required) and add the egg, rum, and spices. Mix them with a wooden spoon. Sift flour, baking powder onto the mixture and add the nuts. Stir well and kneading the dough until well combined. If the dough is a bit sticky, add some flour. Form several rolls, about 2.5 cm in diameter, that’s about 1 inch. I got about 4 out of the amount of dough I had. Place them on a baking sheet lined with baking paper and bake at 180°C for about 20 mins. Let the rolls cool a little and then cut triangles. See the picture for reference. Don’t worry if it is not perfect, it doesn’t have to be.Let them cool completely and store in an airtight container for about a week. If you add a piece of bread this will soften the Spitzkuchen. After about a week or when the Spitzkuchen are a bit softer you should cover them in chocolate. Melt the chocolate using the microwave or a pot over warm water. Dark chocolate is preferable because this will compliment the flavour of this cookie. However, if you do not like dark chocolate you can also use milk or white chocolate. Cover the triangles in chocolate and let them dry off on a cookie sheet lined with waxing paper. This will make it easier for you peel them off. With this recipe, you will need either a meat grinder with cookie attachment or cookie press. Combine all ingredients and knead until you have a uniform ball of dough. Chill overnight and take out an hour or so before using it. Knead the dough quickly before using. Break it up into smaller portions to use in the meat grinder. The length of a finger is a good amount for a cookie. Place cookie on a cookie sheet lined with baking paper and bake at 180°C for 10 min or until golden brown. Remove from the oven and let them cool. You may decorate the cookies by dipping one end into melted chocolate. Or enjoy them plain. Prepare galantine according to package description. Mix the yoghurt with icing sugar, vanilla, and lemon well. Add two tablespoons of the yoghurt to the galantine and mix well, then add this to the rest of the yoghurt. Place in the fridge until the mixture thickens. Wash the strawberries, dry slightly and set four strawberries aside for decoration later. The rest should be diced up and fill cups half way. Mix the muesli with the thick yoghurt mixture before spooning onto the strawberries. Use the 4 left over strawberries for decoration. Mix sugar with warm water and sprinkle dry yeast over it. Let stand until bubbly. Heat milk, oil, sugar or honey and salt to 55°C then pour into mixing bowl. Add egg, lemon zest and vanilla. Work in about one cup of flour and add yeast, mix well. Gradually mix in remaining flour to make a soft dough that clings together and leaves the sides of the bowl clean. Turn dough out on a lightly floured surface and knead and additional 3-4 minutes. Shape into smooth ball, place into a greased bowl turning to grease all over. Cover and let rise in a warm place until double. To make Streusel, combine all ingredients until they from nice crumbs. Make egg wash by whisking egg yolk and milk. Punch down and roll dough out into rectangular shape to fit 11’’ x 17’’ sheet and place on greased baking sheet. Brush with egg wash and sprinkle generously with Streusel. Let rise again. Bake at 200°C for 25-30 min. Prepare soft yeast dough by mixing all ingredients except 2 tbsp. milk. Let it rest for 1 hour. Spread it onto a flat baking pan lined with baking paper. Brush the dough with some milk. Mix all 4 ingredients for the streusel by hand until it is crumbly. Spread onto the yeast dough and cut some butter flakes and put it over top. Bake at 200°C for about 25 min. Sift flour into a bowl, add ground almond, cardamom and yeast and mix well. Heat milk, add butter, sugar, egg, salt and zest. Mix well and knead into flour. Let dough sit for 30 min. Afterwards, divide into 4 and roll strings about 35 cm long. Make a star out of stings on a cookie sheet, roll ends. Let rise for another 30 min. Mix yolk with evaporated milk and glaze dough. Bake at 200°C for 35min. Springerle are a special form of Christmas cookies. You will need a wooden model form which has a carved pattern. It a very old Swabian tradition and wooden models are handed down from parents to children. Take a cookie sheet, line it with aluminum foil, grease it with butter, sift flour over it and sprinkle anise above. Mix sugar and eggs very well until foamy. Slowly fold in sifted flour and lemon zest. Knead dough and roll out 1 cm thick. Dust wooden forms as well as dough with flour. Take dough according to size and press into form, cut clean edges and release from form. Take a brush and dust of any extra flour that might be left on the cookies. Place all cookies on the cookie sheet, with imprints facing up. Let dry for 24 to 26 hours at room temperature. Back at 160°C for 20-30 min with oven door slightly open. The top should be white only the bottom might be a bit golden-brown. Place cookies in a jar right after baking so that the humidity will soften the cookies. Leave for 1-3 weeks until soft. Check frequently to make sure it is not too soft. Mix dough ingredients until it is a soft dough that doesn’t stick. Place in a bowl, cover with a tea towel and place in a warm spot to let rise for 30 min. After rising, knead 6 balls, using some flour to make sure it does not stick. Let rise again. Heat milk and flour until it is a mash. Let cool down and then mix all other ingredients into the mash with a mixer. Roll out each ball into a greased sheet. Use enough flour to make sure it will not stick. Spread topping about half a centimeter thick on top. Now you can put anything on top. Onion flambé: Take 5 big onions, cut them in fine stripes, steam-fry them in oil until they are glassy. Let cool and arrange over spread. Bacon flambé: Cut 250g smoked ham into fine stripes (or little dices) and arrange on spread. Bake at 225°-250°C for a short time. The flambé should be crisp but not hard. The spread should be still creamy. Serve hot with a glass of white wine. There is something called “Neuer Süßer” and “Federweißer”. Those are young wines and common to drink while eating Tarte Flambee. Prepare your cookie sheets by lining them with baking paper and heat the oven to 180°C. Combine flour with baking powder in a bowl, then add the rest of the ingredients. Combine all with the dough hook of your mixer on the low setting. Then turn it up on high to form a dough. Turn the dough onto a floured surface and knead into a smooth dough. Roll the dough pencil thick and cut it into 4-5cm long pieces, roll the ends of each piece a little thinner, then form a croissant shape. Place them on the cookie sheet and bake for 10 min. Combine the sugar with vanilla sugar and dust the Vanillekipferl while still hot. Let them cool down and dust again. When the vegetables have softened slightly, remove from oven, place steaks on top (bacon side up), and place pan back in oven. Serve steaks with potatoes and sauce and apple quarters browned in butter and cooked in white wine. Notes: You may make a roux with flour and butter and add the red wine, instead of using cornstarch to thicken. You may also use pureed vegetables to thicken (they are usually discarded) for a healthy and tasty alternative. Pour lukewarm water into a small shallow bowl. Sprinkle the yeast and 1/2 tsp of the sugar over it. Let stand 2 or 3 minutes then stir together to dissolve completely. Set in a warm, draft-free place for 3-5 minutes or until double in size. Transfer the yeast to a large mixing bowl and stir in the milk. Beat in 3 cups of the sifted flour 1/4 cup at a time. Then beat in the eggs one at a time, and the bits of butter. Continue to beat until the dough can form into a ball. Place the ball on a lightly floured board and knead in the final cup of flour. Shape into a rough ball place it in a mixing bowl and add enough cold water to cover it by several inches. In 10 to 15 minutes the top of the dough should rise above the surface of the water. Remove dough from water and pat the surface dry. Return it to the floured board and punch down. Sprinkle with the remaining sugar, the salt, and the caraway seeds. Knead for about 10 minutes or until smooth and elastic, lightly flouring from time to time. Pat and shape the dough into a round loaf about 8” in diameter, slightly mounded in the centre. Sprinkle a baking sheet with cornmeal, place the dough in the centre of the sheet and cover it loosely with a kitchen towel. Let the dough rise in a warm draft-free place for about 30 minutes or until it doubles in bulk. Bake the bread in the middle of a 375ºF preheated oven for about 1 hour. The crust should be a light golden colour.